When you pick up a product off the shelf or order one online, you expect it to be safe and functional. There are many responsibilities a company takes on when they mass produce and market a product to the masses. They have an implicit promise that their item is usable and will not cause injury or illness. When this occurs, it is up to the consumer to challenge the offending party and try to avoid future injuries to other customers. When such a product enters into the market, it is important to make sure that all possible acts of harm are avoided. When the item does cause harm, then a liability suit should be considered. A skilled law firm, such as those who are part of Personal Injury Warriors, can determine if the company that manufactured the item actually went through a series of checks and design stages to make sure that it was safe to begin with. Of course, there could be other issues that contribute to such an issue, including improper manufacture or damage during transport. No matter what the cause, if it is dangerous it shouldn’t be on the shelf. There could be many broaches of product safety. This could include the item having small, breakable parts that could be choked on or sharp edges. There could be other errors that include a lack of clear instructions, errors in the design of the item, or misleading advertising. Many lawyers at our organization has seen it before and has successfully fought for our clients against corporations that put their bottom lines before the safety of their customers. We see it frequently where a large company can hire a big shot law firm to try and reduce the amount they have to pay out to injury victims. We specialize in taking on these big companies and these law firms to get the maximum amount for medical care or pain and suffering for the victims as possible. Our member attorneys are able to pinpoint the causes and effects of these dangerous products and how to successfully challenge both in and out of court. 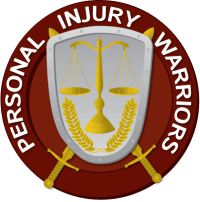 For more information about how we can assist or to find out more about Personal Injury Warriors, call us today.